This is what we do, ya’ll! We spread peace, love and ….. oh yeah ….. that “kindness” thing. This is our 3rd year celebrating “bk2hk” week! Before we explain this special week, we would like to share with you why we publish posts such as this. Sometimes … well, lots of times, we need to read about the goodness that IS happening in the world in which we live; so we can continue to have hope in humanity. Be Kind To Humankind Week is a salute to being kind and participating in kind acts toward other humans. It’s a chance for all of us to show some compassion to our fellow man, send a smile to a stranger or go above and beyond the call of duty, and it’s celebrated every August 25th-31st. Please check the link below and find out about “bk2hk” week ….. OR ….. you can check out our archives … which, would be in August………. just in case you were wondering!!! It’s time to explain what true kindness is, and what going #BeyondTheBucket really means. You’ve all heard of the “ALS Ice Bucket Challenge”, and you’ve seen the countless number of celebrities participating and nominating more celebrities to “take the challenge” or donate. Now, we’re taking this challenge into and out of the village ….. AND ….. going #BeyondTheBucket!!! Embracing Life Through Love is a Federal nonprofit organization and public charity that specializes in patient care and support services for those affected with Neuromuscular and Motor Neuron related diseases. It’s the diseases that have no cause and ….. no cure. Yes, it’s Lou Gehrig’s Disease (ALS), MS, Spinal Muscular Atrophy and Metachromatic Leukodystrophy (MLD) …. even spell check couldn’t make out the last one. Remember, there is no cure. 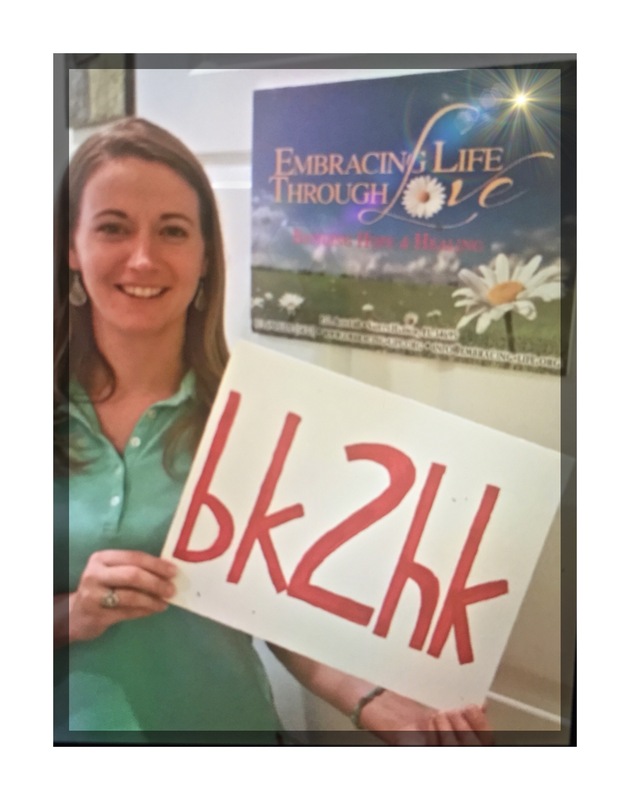 Enter Stage Left ….. Megan Durgan, the founder of Embracing Life Through Love, and the vision of her organization is to develop a wellness retreat center — the first of its kind. It’s all about addressing the need for additional services that most insurances do not cover, and no one is turned away regardless of their ability to pay. What this organization needs more than anything is donations. Please visit the website listed below, and do your part to make this vision a reality. Pictured: Megan ….. going #BeyondTheBucket!!! That’s why she is our 2015 example of what it really means to be kind to humankind. Thank you! YES. IN ALL CAPS ….. P.L.E.A.S.E. D.O.N.A.T.E. *Dedicated in memory of Mark Alton Wedde.